When Alex from TravelFashionGirl.com stumbled into her niche—the travel industry—she had no idea what it would turn into. Years later, she’s built an empire through organic connection with her audience, SEO optimization, affiliate marketing, and a passion for helping fellow travelers. She’s here to break down the strategies she used to grow a site that experiences almost one million monthly visitors! The premise for Alex’s site is simple: It’s all about helping travelers—mostly female readers—downsize their suitcase and streamline their packing list so they can enjoy themselves. Her website features gear reviews, product roundups, customized packing lists for a range of circumstances, advice for keeping your flight stress-free, you name it! Alex has grown a massive following and a full-time business out of that simple idea. She’s done this a few ways—namely through SEO optimization, advertising, affiliate marketing, Facebook Live, and lots of interaction with her audience. Especially if you’re doing any sort of advertising on your site—perk up! Alex has a ton of tools and resources that she mentions in this episode (check out the sidebar) that could help you increase your earnings almost literally overnight. Something as simple as a resources list can have a massive effect, translating to a major increase in traffic and earnings. I’ve known some of the tools she recommends to literally 2X or even 5X earnings on other sites as well. Alex is going to walk us through exactly how she grew her site from the ground up and the tactics she uses now to push the needle. Hit play and get ready to take some notes! Make sure you tune in next week, because I’ve got a big announcement. Actually a pretty huge announcement. Scratch that: Next week I’m announcing the biggest business decision I’ve probably ever made. How’s that for a teaser? Make sure you subscribe so you don’t miss it. Pat Flynn: You are listening to Alex from TravelFashionGirl.com, an amazing friend of mine who I’ve gotten to know very well over the last year. She has a great story about how she almost stumbled upon her niche, which is the travel industry, through a lot of experiences, and problems, and people that she had experienced on her own travels. She built this website and it took off and it became a world wind . . . a world wind? A whirlwind of an opportunity for her. She didn’t even quite know exactly what it could turn into. You are hearing the beginning parts of the story and I’d love to share this entire story with you. Now she’s built her empire at TravelFashionGirl.com. The different methods that she’s generating an income with, the new ways that she’s involving physical products into this brand that literally just started out as a blog to help people travel more efficiently—we are gonna dive into Alex’s story today. Again, you could find her at TravelFashionGirl.com. First, as always, let’s get to the music. Announcer: Welcome to The Smart Passive Income Podcast, where it’s all about working hard now so you can sit back and reap the benefits later. And now your host—the one thing he misses about his old job are the weekly softball games—Pat Flynn! Pat Flynn: What’s up everybody? Pat Flynn here, welcome to Session 353 of The Smart Passive Income Podcast, really thankful you are joining me today, and I appreciate you so much for your time. If you don’t know who I am, my name is Pat Flynn, I’m here to help you make more money, save more time, and help more people too. We are off to an amazing start here in 2019. Last week we interviewed a hero of mine, Marques Brownlee, MKBHD as you might know. If you haven’t heard that episode yet, listen to that one after. That’s 352. This episode, even better, this is an incredible story with Alex from TravelFashionGirl.com, breaking down exactly how she got her start, and also all the different kinds of ways she’s generating an income. For any of you out there who is doing any sort of advertising on your website, you definitely want to make sure you pay attention, because Alex has found a number of tools and resources that can help you, literally almost overnight, increase the amount of earnings that you could potentially have. It may not be relevant to everybody, depending on how much traffic you already have. Make sure to pay attention all the way through, and I’ll meet up with you at the end. Let’s get right into it. Here is Alex from TravelFashionGirl.com. Hi Alex, welcome to The Smart Passive Income Podcast. Thanks so much for being here today. Alex Jimenez: Thank you for having me. I am so excited to be here. Pat Flynn: I am too. You and I have gotten to know each other very well this year, we’ve worked together on your business, and had a lot of time together in person in San Diego, through the Accelerator Program that I have and just, what you’ve put together over the last number of years is amazing, and I cannot wait to share your story, and unpack some strategies and tips that you’ve had to grow your business. For everybody else listening in, Alex, why don’t you tell us what TravelFashionGirl.com is all about, and then we’ll go back in time and discover how that was all created? Alex Jimenez: TravelFashionGirl.com is a website where we teach women how to travel, carry-on only, in a stylishly and efficient way. It’s all about how to pack, and we teach principles on how you can downsize your suitcase so that way you can enjoy your travels in a stress free and more relaxed experience without having to drag around a big, heavy suitcase full of stuff that you don’t need. Teaching you the practicality along with some essential information about what to wear, what to pack, to help travelers be prepared when they are on the go. Pat Flynn: Very nice. What kinds of things can a person expect when they go to TravelFashionGirl.com that would be really useful for them? I see you have, for example, packing lists. What other essentials and assets do you have that people really enjoy on your brand? Alex Jimenez: Packing is definitely one of our most important resources, because it helps people streamline what they are gonna bring. It’s really overwhelming to think, “I’m going somewhere I’ve never been, going around the world. I’m going across the pond, wherever you are going.” You’ve never been there. So it’s really a bit of a scary feeling. Our packing lists and our guides on what to wear really show someone everything they need, from the weather to cultural expectations, things that would be more practical such as bringing waterproof boots if it’s gonna be raining, or Thermos if you are traveling in the cold. Definitely we have information about the clothing, a lot of it is about clothing, because targeting toward women . . . men do it too, I’m sure you guys overpack, but as a girl traveling I know it’s really hard not to pack a bunch of stuff. We are used to having a huge closet full of things. How do you fit all of your closet into one tiny suitcase? All of the guides are meant to show not to do that, first of all. Exactly how to pick the clothes that will make sense for your trip. Pat Flynn: So cool. And when you say these guides, these are free accessible posts on your website? Alex Jimenez: Yes. Everything is free to use on the website, including our packing list, the different guides on what to wear. We have reviews on gear, such as the best luggage, the best backpacks, and what’s comfortable walking shoes. We have product roundups. We also tackle things that are really, certain topics that are popular within our community such as how to have a stress-free flight experience, or some inflight essentials that could help make your long haul journey more comfortable. Pat Flynn: Nice. I cannot wait to dive into the website and the business model, and the income generation strategies, and those kinds of things. We’ll go into that a little bit later. I do want to go back in time and talk about, what year did you start TravelFashionGirl? Alex Jimenez: I started it in August 2012. Pat Flynn: 2012, and what gave you the idea to create this, what’s the origin story behind it? Alex Jimenez: I had actually been traveling full-time for a number of years before I started TravelFashionGirl.com. And really found no website rooted for my own frustrations as a traveler. I quit my job to travel in 2008. I was only taking a three-month sabbatical and it ended up being long term. I traveled for almost a decade full time. The first four years of that I was carrying a big heavy backpack, I was backpacking around the world, moving around every couple of days. Somehow I had so much baggage on me and I wasn’t prepared for anything. I wasn’t happy with what I bought. The clothing that I brought just, either it wasn’t suitable for the weather, in a practical sense, and it also didn’t make me feel comfortable because I didn’t bring clothing that I was used to wearing at home in Los Angeles, where I’m from. It was through my own struggles and frustrations that I started researching online, trying to find a resource to help me downsize and the information that I found online seemed to be a bit more geared towards a male traveler or maybe someone that was backpacking and hiking in a mountain sense versus backpacking, traveling around the world. The packing list consisted of things such as bring three quick dry tees, one pair of convertible pants, and three underwear you can flip inside out every other day. As a girl, convertible pants and flipping my underwear inside out isn’t really a thing that I wanted to do. I realized the information really wasn’t catering to me, because even though I wasn’t trying to travel with heels and a bunch of makeup, and frivolous things, I did want to feel prepared, and I also wanted to feel comfortable with my clothing and not wear convertible pants, for example, if it wasn’t necessary and if it didn’t suit my style. I also found out that in my journey, as I started talking to other backpackers and travelers at hostels and asking them questions about how they packed, they were expressing a lot of the same frustrations. In 2011 I started interviewing more female travelers on the road that I’d meet in person. I started compiling all the information that I learned about how to downsize the things that worked, the things that didn’t work. I started putting things together. Eventually a year later I put all the information that I collected onto this website that I launched, Travel Fashion Girl. Pat Flynn: That’s so cool. I think a big lesson there, and this is something I teach in my courses, is that one of the most important things you can do before you create anything is to have conversations with people. Even though you were, essentially your own avatar, which is a great start, having conversations with others is really really really important. What were some of the biggest lessons that you learned from those conversations that you put into your brand later? Alex Jimenez: The most game changing conversation I had was actually with a girl, she was from Canada. I think we were at a hostel in Mexico, somewhere in maybe Merida. She was only traveling with a backpack from college, like a college school backpack. She had six pieces of clothing. And I was absolutely astounded. This was everything I wanted. I wanted to just travel with a small bag. That feeling of seeing people wander around the world, it seemed so freeing and comfortable and easy. And to know she was doing it with six pieces. She explained everything to me about why she chose each thing. Then she also explained the things that she wished she had done differently. I took that idea and I really started thinking about it, and I really built upon it. I went and asked others—from that, that became actually the premise of one of my signature packing lists. I have four signature packing lists based on number of clothing. She felt like the one thing at least she could have brought was an eyeliner. Really Pat, more than anything, all these things are about being prepared so you are confident when you are traveling in new places. It’s also about feeling confident within yourself, because I don’t know about you, but I’m sure you have your favorite t-shirt and jeans, things that you could wear almost every day. You just feel comfortable and confident. That’s what it’s about, it’s about feeling comfortable in your own skin. Pat Flynn: I love that. I love how you brought it back to understanding how your audience feels. I think that’s a really important thing, because a lot of times we get lost in the minutia of content and SEO, and business models, which again, like I said we’ll get into a little bit, but it really comes down to, how are you making your audience feel? When you can make them feel great, and you can give them that reward, well, they are gonna continue to come back, and obviously they have. Your website has grown quite big. Before we get to how much traffic you have and the business model, after those conversations . . . I’m just curious to know . . . Putting a website together is not an easy thing. What drove you to do all that work to compile all this information? Because you could have just collected all that information from those conversations for yourself, and just have kept those tips and secrets to yourself. Why share them, and why build this resource? Were you actually thinking to yourself, “I can put this together and build a business out of it”? I wanna know what was going through your head in those early moments. Alex Jimenez: As I spoke to the other travelers, I realized there was a problem. These girls were experiencing the same issues that I was. They weren’t happy with what they brought. They wished they would have packed differently. It was impacting their travels, whether from a practical sense or just from a feeling happy type of experience. I wanted to get the word out. I did research for about a year. One day I just woke up and I just knew it. There was this feeling like, I have to share this with other people. I hate the way I felt. There has been times where packing the wrong things for my friends, packing the wrong things impacted my experience, and made me absolutely hate one of my travel experiences, because the suitcase handle broke, and we were dragging around a big giant suitcase up and down the stairs in Europe, and going from trains, and I hated it. I didn’t want anybody else to feel that way. Pat Flynn: That’s really cool. Alex Jimenez: It wasn’t easy, I’m not a tech person. It was very difficult but luckily I had a few serendipitous experiences that helped me find someone that helped me get my website together. Pat Flynn: At what point were you like, “Okay, this could be my thing, and this is my business and I can make money from this”? At what point in the journey did those things cross your mind, or had they already? Alex Jimenez: Pat, even to this day . . . I still feel like . . . I don’t even think it’s real, I guess. It’s been such a journey and Travel Fashion Girl really blew up very quickly. I’ve just struggled to keep up with the demand since day one. I never really actually had a chance to think . . . In the beginning it was actually a couple of years before I thought, “I can try to do this full-time.” I just started hearing about how other travelers were having a blog online or people were working online and they were doing it full-time. It wasn’t until after about a year that I thought, “You know what? I’m gonna try doing this full-time. And while I’m traveling.” Because I was still going back home to work seasonal jobs, to save money to travel. That’s the way I was traveling full-time, at the time. It kind of never really hit me. I did start earning revenue early on, within the first six months. It was because the traffic blew up really quickly. I was very slow to process the whole thing. Pat Flynn: That’s okay. It almost seems like you were doing this for reasons to help others, and you really hadn’t even created a plan, which is okay. This is what happened to me when I started my architecture website. First six months, you were already getting traffic. How in the world did that happen? Alex Jimenez: Two things. Because one, SEO. I happened to be doing a work exchange in Koh Samui, Thailand for a digital marketing agency when I launched the website. That’s actually where I launched the website, where I met people that helped me. We did an exchange. I learned about SEO and keyword research and everything. Every single, or almost every single article from the very beginning had a keyword, or even a poor attempt at SEO. That definitely was a big factor and it still is now. The other thing was social media. I used Twitter to really start the communications back then. I was on Twitter six hours a day nonstop. In fact, the first two months when I launched the website I was—I don’t think I slept for two months. I think I was working like 20, 24-hour days, because that was just so exciting. Things were just happening naturally. Pat Flynn: That’s great. Well, thank you for sharing just how much hard work you put into this. You also said that you already started generating revenue in the first six months. How were you doing that? Alex Jimenez: Well, one of the things about the information that we share on the blog are the packing lists and the guides. I really wanted to provide a visual. I was showing examples of the type of clothing that people were wearing in the destinations such as, if you are traveling to Sydney, this is the type of clothing that you can bring. It was less for people to follow the exact styles, but more so for them to see there is sleeveless tops and stuff. It means that this destination is gonna be hot; I don’t have to bring my bulky pack or anything. In doing so I was showing examples of the clothing. In the beginning I wasn’t linking to the clothes, because I didn’t know that I should, or I could. I started getting emails from readers saying, “Hey, I wanna buy those pants, I wanna buy that dress. Where did you get it? Where can I buy it? Can you please add links?” I was baffled by this. I started adding links, and then six months into it my mentor at the time told me that I could actually add affiliate links. I could use those links and I could add an affiliate code to them so I could earn commission, a small commission at no extra cost to the buyer. I started doing that, and lo and behold there was my $50 check in January or my $50 earnings in January of 2013 for Amazon. That was pretty cool. Pat Flynn: So it was through Amazon Associates that you were linking to the gear, and the clothes that you were sharing? Pat Flynn: That’s so cool. What was it like for you to build something online, and actually start to see some income coming from the thing that you created online, when you had normally been used to making money through these seasonal jobs? Alex Jimenez: It was so exciting, and it was just fun, and it still is fun. I don’t even know how to explain. It really was such a whirlwind. It was cool to see the opportunities. Again, I don’t think I quite understood the possibility behind it. I kind of thought, “Man, if I can make enough money, a couple of hundred dollars a week or something where I could just cover the cost of my travel.” And even then, I don’t think my plan was really that broken down. It was just cool, and I was excited by it happening. I know it sounds silly but I actually didn’t go into it as a business, or planning for income. I thought, if I can make some money in the blog . . . At that point people weren’t talking about . . . It wasn’t as common as it is now. I kind of thought if I could make a little money, that’s cool. It was a bonus. Pat Flynn: So cool. What is your traffic like now? Alex Jimenez: The traffic is now, we have almost a million monthly visitors a month. Alex Jimenez: That’s just absolutely incredible. I mean, I’d like to get to that million. I think I’m just so close to it. I think it was 973,000 or something. It’s been amazing, and really early on . . . I think when we were at the six months mark, we were already at 35,000 unique monthly visitors. Pat Flynn: And to remind everybody that a lot of that was coming from SEO. I know, based on our conversations in our group, that a large amount of your traffic is still coming from SEO, although you do have a community now on Facebook and stuff. We’ll have all the links and assets that you have to share on our show notes for everybody. I’ll mention that link at the end. I kind of wanted to frame—Alex just said a million monthly visitors. Remember how she started: She just had conversations and that’s it. And she started creating useful things like the packing lists and talking about other helpful things, and just . . . Look at what you could create if you just create. A lot of the lessons learned here is you just got to build something useful for people, and those conversations, like I said, are really important. With me I have my Resource Page, which is a compilation and a compendium of all the top tools that you can have to become an entrepreneur. I think no matter what brand you have, you should have your signature equivalent of Alex’s packing lists. Do you have any specific strategies that we can use to create our own version of the packing list, based on your experience? How do we best make that happen and make it useful for our audience? Alex Jimenez: It really is a checklist. Regardless whether it’s a checklist on whatever that niche is, whatever your topic is. What’s the easiest, what’s gonna be a checklist, whether it’s a photography checklist—if you have a YouTube channel for example, my question is, I always wanna know, what gear is everybody using to actually produce the videos? A gear checklist from photography to parenting, what should be in that diaper bag? New moms wanna know. Just an easy checklist, and providing links to suggested items. Ideally products that you yourself have used, or you know have been recommended. Then that’s how you are providing value, and then doing that. Then you are getting the monetization, because those checklists have links to products. Pat Flynn: That’s so cool. I’m looking at your packing list page here. You actually have a packing list directory. They are all printable, editable, but you have the Asia packing list, Africa, Europe, South Pacific, something that you call the Round the World Packing list. Europe, and even more. I could print these out. And these are really useful. I would imagine that if you just spent a little bit of time, for those of you listening, thinking about what your version of a packing list could be. I mean, imagine what kind of asset that could be for SEO, for growing your email list, for helping people? I think that would be a great exercise that a lot of you can take away from this, because it’s definitely something that I think can also tie into the affiliate earnings that you have as well. If your packing list were to reference the clothing and the other gear, then it’s kind of a win for everybody at that point. People want to know what you as a brand or as a personality would recommend. That’s kind of—you’ve earned that right to share and recommend things instead of just a directory of all the things. You are actually giving people your top choices. When you build authority you have the ability to help guiding people, and that’s essentially what you are doing here, which is fantastic. To go back, you initially started with affiliate marketing, and I also see some ads on your website as well. How are the ads going, and what has been your experience with ads on your website? Alex Jimenez: The ads are something that I really fought for such a long time, because I really didn’t . . . I’ve been really careful with the way I present the brand, and what I present to the audience. I’m always thinking about them: Number one, how are they gonna be impacted by this? Number two, how are they gonna find this useful? I didn’t want the ads to be intrusive. I did test them out. This was a really big help for us. It was a big increase in our revenue. We started them for the first time about a year ago, maybe a year and a half ago. Having the increase in revenue, it actually allowed us to build the business and reinvest back into it. It’s been good for us, and also good in being able to give back and create bigger resources, bigger things. It was something that I didn’t test. I should have tried it a long time ago. Now my goal is to kind of work the website a little bit more so that we integrate it a little bit more seamlessly. I am still careful about the ads that we do show. For example, if there is an ad that has a messaging that I don’t want to be aligned with, I will contact the company and ask them not to feature that particular ad on the site. Pat Flynn: What ad platform are you involved with right now? Because I know there is a lot, there is AdSense, and there is a ton of them. Do you have any tips and recommendations for those who have websites who want to experiment with advertising? Alex Jimenez: 100 percent. What I’m using right now is AdThrive. It is such—it has really been a game changer for the business. It’s incredibly profitable, the revenue is much higher than the other ad platforms. I think you are required to have 100,000 unique monthly visitors a month, or 100,000 page views a month. In addition to that there is also, if you have I think 50,000 unique visitors, or 50,000 page views a month, there is also Mediavine, and before that there is Google AdSense obviously. If you can get to the point with higher page views then that is definitely a big passive income that I was missing out on for so many years. If I could go back when I first started having these kinds of page views, I really wish I would have incorporated this a lot sooner. I think recently it’s become way more common than it was before. It seems like banner ads have made almost a comeback. I definitely am very happy with that move. Pat Flynn: You mentioned the sort of order: AdSense, which anybody could get access to, and then above that 50,000 minimum page views or uniques per month would be Mediavine. Was that the name of it? Pat Flynn: Then AdThrive. Correct me if I’m wrong, the unique thing about AdThrive, which I just figured out, was that they pay you based on impressions, not clicks. Alex Jimenez: They do. That’s correct. Pat Flynn: That means like, just the fact that you have visitors alone means you are going to get paid. I know a few other people who have switched over to AdThrive, and have had a 2X to sometimes 5X increase in their advertising revenue. That doesn’t mean you just put ads everywhere on your website. Obviously, like you said, you wanna treat it in a way that still serves your audience. That’s a huge increase. I’m curious, in addition to the change to AdThrive and in adding ads on your website, what other things that you’ve done in the past that have offered a nice spike, an increase in your revenue? Alex Jimenez: A big part of our initiative over the past year has actually been going back, optimizing your old posts. Not just old posts, but our most successful posts. Three of our top five, ten, twenty, all of our top articles, really re-optimizing them with affiliate links, products, content. Are we providing the best content? Are we giving the best product recommendations? Are they the most relevant product recommendations? That’s something that’s really helped us because in the past for example, even if we did have a really popular article, maybe it was ranking it number one. Maybe it was just an article I never really thought would be very popular, or a topic I didn’t think people cared about. I didn’t have any product recommendations, or maybe the content was just lacking. Basically the opportunity not only to benefit only to increase our revenue, but also for the reader, for them to get more information as I’m going back and I’m really cleaning that up. That’s been a major boost for us over the past year, and something we are gonna be focusing on a lot more going forth for 2019. Pat Flynn: That’s huge. Going back into the past, in your archive, and updating things has been something that we’ve been doing too. Largely due to a recommendation from one of my friends Todd Tresidder who we featured on Episode 200, who gave himself a little bit of an audit, and deleted a third of his content and actually increased his traffic as a result of that. Going back and re-updating things, and republishing them with new information, sending them out to your email list again, a lot of you who have been following SPI have seen that I’ve been doing that, and it’s been really working for increasing traffic as well. Alex, would you mind giving us a rundown, step by step process for doing that? We are right into the new year now, and it would be a fun exercise for people to do. Perhaps even going back to . . . How do you even . . . Do you start with Google Analytics to see what’s popular, and then after you figure out what your most popular posts are? Give us a step by step for how we can maximize those efforts with older posts. Pat Flynn: Are you looking at—I’m sorry—just the traffic alone within a certain time period, or are there any other data points or factors that you account for in there? Alex Jimenez: In the very beginning I pulled just an initial list. What are our most popular articles, based on traffic. Pat Flynn: Based on traffic. Alex Jimenez: That’s what I’m looking first. Sorry for not clarifying. We even took it a step further in looking, well, if they are buying this type of product, what color are they choosing? Now we are featuring the colors that they do like. In doing so, by also looking at the sales data, we were also able to see complementary products that we weren’t even thinking about. Really a lot of what we’ve done has been guided by the readers, what they like, what they want, and here I’m indirectly getting their feedback by knowing what they are buying. That way I can show people, and I actually show the stuff that people want, and I know that it’s . . . I know that’s because I can actually look at the data. That’s been really important. That’s from the monetization point of view. From an SEO point of view then I go, I use Ahrefs. I go, then I run a report on Ahrefs for the article, and pull to see what keywords, if any, the article was ranking for, and then re-optimize the article full on Ahrefs. Then use, then do some research and see, how else can we make the content more informative, what other questions can we answer that a reader might have? Pat Flynn: That tool one more time was, is that Ahrefs.com? Alex Jimenez: Yes. That’s correct. Pat Flynn: I use that tool as well. It’s great, I’ll tell you guys more about it in a little bit. One important thing I want to mention that I don’t want people to forget that I think is genius, is that you are going back to these articles, based on traffic, and that’s a good sign for there is opportunity there. If you are monetizing those articles—because even if you are not monetizing them, they are still bringing new people in, who could find other pages. 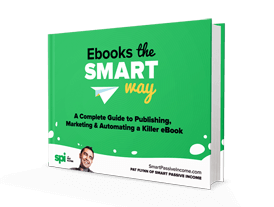 It’s important to do this for both pages that are highly monetized and pages that are not. They are highly trafficked so they are bringing people in. The ones that are monetized, you are actually going even deeper into the sales reports. Those are just reports that Amazon associates gives you. They give you that information? Alex Jimenez: Yes, because we’ve used tracking IDs for a good bulk of the post. Not only them, but the ones that we have, we’ve been able to look at the tracking ID and see what’s selling on the article. A really quick side note I want to say, you mentioned that some high traffic articles, maybe they are not monetized. Maybe they are not possible to monetize them through affiliate product. That’s where AdThrive really come into play, because now by having an ad there I’m able to monetize it, even though I couldn’t do it through a product. It’s giving me an alternate option. In the same way, there are some articles that are highly monetized through products, so I remove AdThrive completely, so it’s just one or the other. Pat Flynn: Smart. I like that a lot. Now you are going into the reports and seeing what people are buying, and if that page, correct me if I’m wrong, doesn’t seem to be selling that particular product, you just kind or remove it, right? Alex Jimenez: Yeah. Actually what I found, for example let’s say we feature twenty-five products. Then out of these twenty-five, if people are only really shopping for twelve they will only feature twelve. We also look at the returns. Because just because a product sells a lot, it doesn’t mean that it’s a good product. I don’t want to feature products that aren’t good quality. We are also analyzing returns as well. We are looking at everything. I’ve also found that offering, showcasing less options has been better. Pat Flynn: Interesting. I also like what you said about, for the products that they are buying, you say that you are also then adding products that are complementary. How are you discovering what those products are that you didn’t even know? Alex Jimenez: By the sales data. We are just pulling everything. In the tracking ID I can see—I know Amazon has an easier way to do this now. They just launched it this year. For me, what I have been doing in the past is usually the tracking IDs. By pulling all this sales data I can see—we sort it by the product itself the most, and the quantity. We are looking at what those are. We’ve been surprised that some people, maybe they click a link and they end up buying something else. That’s maybe a product we hadn’t really thought about, something complementary. I’m trying to remember . . . I think it was in our anti-theft accessory article. We found that people were buying maybe an anti-theft wallet, which we weren’t featuring. Then we added it on there as one of our offerings. Pat Flynn: That’s so cool. So it is actually coming from still the same report, because what happens is, for those of you who don’t know, when people click through an affiliate link, any affiliate link, you get to see the data on what else they are buying too, because everything that goes in their card within 24 hours you also get a chunk of money from Amazon for, which is cool. You are able to see it there. I thought that—and maybe you are doing this, I don’t know. My head went to, you go to the sales page on Amazon for that product that you promoted, that is popular and they are buying. Then you can also see, because Amazon has those algorithms that show you, “people who bought this also bought this.” I imagine that that could be a good resource for other complimentary products as well. You are going to just, what exactly are people buying? Which is probably the best way to go about it too. Pat Flynn: I love that a lot. It’s making me wonder in my business, for example, I need to go into Amazon, because I know a lot of people for example buy Will It Fly? using my affiliate link. What else are they adding in the cart, what other books are they getting at the same time? Have I recommended those books yet, have I reviewed them, are they part of my book club? Even just—this is seeding those ideas from you, which is really fantastic. Alex, this is awesome. What else do I need to know? How else has your business grown? Tell me what’s on your mind. Alex Jimenez: Well, I do wanna say the way that you are saying, it makes me think, people that buy Will It Fly?—you might be thinking about this just now, and it’s totally in your business. I just thought about this just a year ago. We’ve been collecting all this data all these years but we’ve never really done anything with it. Now it came into play. A quick disclaimer, I’m not a pro at this, but it’s actually something that we’ve been utilizing. In addition to that, like you mentioned right now, there are books that you may have not read, you may have not reviewed. This has actually been a really big part of this year because I’ve been discovering, not just in the data, but also in the conversations with the audience, the products that they recommend in the posts the most. The products that they are really passionate about. I’ve gone ahead and I’ve bought them so then I can test them out see what I think. Then if, for example, there is a pair of boots, and I know they have really high sales on Amazon or wherever it is, and then I know that people are also talking about these boots on our Facebook group, I wanna learn why. Why are these so great? Pat Flynn: That’s great. What a way to cultivate the community and be a leader while also just being somebody who listens to your tribe, which I think is amazing. You had said earlier, or I know that your tribe is on Facebook, and one thing that I know you do very well, that you’ve actually taught me and the other accelerator students at some moments in time was your expertise on going live on Facebook. I’d love to know what your strategy is for Facebook lives. And what’s your cadence, and do you have any tips to share with us who also have communities? Alex Jimenez: I am obsessed with Facebook Live right now. I love Facebook Live. For me it’s . . . For many years, probably for the first four years of the business, I was really scared or afraid to be the face of the brand or the face of the blog. Even still now, it really isn’t my bone. It was never my goal. It was really scary to put myself out there on Facebook Live. It’s now one of my favorite things to do, because it’s a chance to really connect with the audience. I’m speaking, I’m getting a chance to connect with them on a whole other level. I’m also giving . . . I’m using the Facebook Lives almost as webinars. And I’m not just going in like, “Hey, who is tuning in today? What’s the weather like in your destination?” I’m going straight from the beginning saying, “today I’m gonna teach you about how to pack for the cold weather.” I go and give a really informative webinar. I’m not upselling at the end. There is no pitch. It’s just, “here is exactly how to pack, here are my tips. These are some of the products I recommend.” Then if you are interested in the products, which, I get a lot of questions, then they can to go a URL on my website where then after the Facebook Live is over I share all the products, and I post links there. So they can then go and purchase them. This has been a bit strategic in the sense that it makes it easy for me to be able to respond to everybody because they might say, “Can I get a link to those shoes, can I get a link to the socks, can I get a link to this?” Instead of giving them 100 links, we are looking at 100 comments here, then I can just send them to one place where they can find links to all the products. That helps me, I’m giving them the information that they want, but it’s also, I’m also able to monetize the Facebook Lives through affiliates that way as well, by sending them back to a certain page. The Facebook Live isn’t just about that. One, it’s about creating the audience, but it’s also about creating content. I sort of . . . I call it my super content funnel. I forgot my name for it. Another reason why I started doing Facebook Lives is because I wanted to be able to use that content and repurpose it throughout my blog, and my YouTube channel, social media and everything. I try to record as best quality of a Facebook live as I can—always in the horizontal format, that way I can use it for YouTube. I usually do about a twenty to thirty minute Facebook Live, up to sixty minutes, of course because I’m speaking about a subject I feel very knowledgeable about, I wanna give as many tips as possible. That’s why they are so long. It’s like an audio blog post essentially. I then send that Facebook Live to a video editor, who then pieces it down to about ten minutes long, five to ten minutes long, so we can then repurpose it for a YouTube video. I know it’s not perfect YouTube star quality, but that’s okay because my goal isn’t to be a YouTube star, my goal is to give my audience a new way to digest the information, and to people already on Facebook as well. This gives them a chance to get to see the presentation, essentially without having to go see the whole thing. They just get the highlights in the YouTube video. From there obviously then I then have a video that can go inside the blog post, or other blog posts to help boost the SEO for them. It’s really a full circle thing. I could even reuse those as tips to then go into social; I share that on social. It’s a full-circle, content repurposing thing that I do with Facebook Live. Pat Flynn: That’s epic. How much time do you spend preparing for a Facebook Live before you actually go live? Alex Jimenez: Probably not enough. I should be better prepared, but I find that I just like to be a little bit more authentic in myself, which is why I’m never prepared. That works out and my readers like it. Actually they mostly like my stuff that way. Probably about at least an hour setting up in advance, trying to make sure that the lighting is correct, if I’m using lights, if they are in the right place. My phone, I’m recording with the phone—I’m not using any fancy camera because I’m pretty bad with stuff like that. I just try to keep it simple. I just want to get it done. This, for me Facebook Live allows me to accomplish the goal and create a video, and not worry too much about it being perfect, which is something that I struggle with, everything has to be perfect. This gives me the permission not to be perfect. With that being said, I also get my products ready. The script, I don’t actually write a script, because I feel that if I don’t—if I need to write a script, then I don’t know the information well enough to talk about it, then I don’t bother with that, I just talk about a topic that I do know, and I’m very confident about. That’s where I go. Usually the topic is based on something seasonal. For example right now it’s winter time. People are traveling in the winter. Yesterday I did a Facebook Live about how to pack for cold weather. I gave an example, I did a demo. I showed the type of clothing, how to pack it. Otherwise, I’ll be sharing—next week for example, I’m going to be doing a Facebook Live about how to downsize toiletries because I know these two topics, they are seasonal, but they are also things that people struggle with. I’m actually, how to pack for cold weather, it was a big issue, a big topic, people were talking about it all over the Facebook group. I wanted to go in there as soon as possible and create something for them so they can stop stressing out and they can see that it is possible and help them. Pat Flynn: I love that. When it comes to preparation for these webinars, what was really interesting to me was that you said that you have a URL that you know that you are gonna send people to, prepared ahead of time, mentioning the products that you are going to be mentioning in the webinar. That takes a little bit of time and care to prepare ahead of time. Are you creating these for your Lives, or do you already have those in place and then you kind of do the live Facebook Live, which is kind of like a webinar? You are giving information, you are teaching, you are showing, you are demoing. Is that based on stuff that you’ve already talked about so that URL kind of already exists, or are you creating that list after the fact? Not after, but for the Facebook Live specifically? Alex Jimenez: Both. I use the same, I’ve been using the same URL this entire, through the past year or so, TravelFashionGirl.com/facebook-live. That way, trying to get people accustomed to always being able to find the same URL, and it’s easy. While I’m live I have someone helping me out by sharing the link to that URL. Sometimes if I can prepare enough in advance, and it would be smart if I did this every single time, but I’ve already added the products that I’m gonna be talking about. Then other times I do it afterwards, because maybe I’m just flying by the seat of my pants, and things are just coming up and it’s just natural. For example, yesterday somebody asked me a comment on the Facebook Live, which was, “How much does a packing cube weigh with all the clothing?” I thought, “Wait, that’s a great question. It’s Facebook Live. Wait a second. Let me go find my luggage scale.” Then now I weigh them. Pat Flynn: That’s cool, I love that. That’s super smart. People get trained over time to know that Alex is gonna update this, or this is updated already for them, the link with all the things. I think having it all in one spot is really smart. That’s really great. I want to continue to talk for another couple of hours, because you have so much sort of really practical information that a lot of the listeners can use and I can use as well. The final thing I wanna talk about before we finish up is, I know recently you’ve launched something that is your own. I’d love for you to just talk a little bit about why you went down that route, and really what is this? I think this is a dream for a lot of people who have brands, who have traffic, to want to go down this route. You are doing it, and it’s up there. Tell us what that is and feel free to share the name of it and all that stuff, and how has that process been for you? Alex Jimenez: A year ago I actually launched my own brand of travel accessories. It’s called Compass Rose Travel Accessories. I sell them on Amazon. It took so long to get to the point where I could finally have my own products. In fact, if it wasn’t for my husband, and his experience sourcing products in his previous career, then I wouldn’t have been able to do it without him. It was so challenging trying to get to that point where I finally went on Facebook Live and said, “I’m just gonna go up here, and I’m just gonna do this. Otherwise, I’m never gonna get to this point.” Because it took me three years of testing product, testing materials, making sure that what I was creating was gonna be good enough for my audience. Originally, before I started Travel Fashion Girl I wanted to start a clothing line. That was my original dream for many years. I used to work in the fashion industry. As that dream changed and evolved over time I realized, “Well, I’m really passionate about certain products.” For example, packing cubes. Those are sort of my anchor product. This is my baby product, because this is a product that I found so useful back when I was struggling to travel carry on, and that was the one product that helped me. As it turns out, this really crappy YouTube video I made, showing people how I used these packing cubes, really hit. It helps. It’s now, I looked at the data, it has over 20,000,000 travelers, female travelers, downsized their suitcase and travel carry on, only with this strategy. I really was passionate about this. I knew that it worked and it was a product that they love so much too. Everybody just loves them. I wanted to make my own. I didn’t want to make something that wasn’t gonna be as good or better than the products I was already using. Finally, I got to the point where I found the right manufacturer, somebody I trusted, and we were able to move forward with that product. But even then I was really scared; how would my audience react? Is this gonna be good enough? Are they gonna think this is good? I don’t know. There was so much self-doubt involved in this process. It was very, it was a very scary journey. What I did was, because I was so scared, and I was never gonna do it, I just made myself go on Facebook Live and pre-sell it, and test the idea, will it fly? I did a one hour Facebook Live. I showed everybody my sample of the prototype and I said, “For two weeks, I’m gonna be opening it up for pre-sale. If you guys are interested, no matter if I sell five pieces or five thousand pieces, I’m gonna make this for you. I just wanna try and see if it works. As it turns out, my audience loved it. They were so excited by it. I had over 600 sales just from that one Facebook Live, and a couple of emails, follow up emails, that I didn’t . . . I didn’t even announce it really on my blog. I’m really bad about promoting my own things. It was incredible to see that. Then I spent the next few months getting these products manufactured. Then my husband and I, and even some of our family and friends QC’d. So we did quality control for each and every single packing cube. There is four per set. So it was like 3,400 or something packing cubes. We wanted to make sure they were good. I wanted to be proud of what I was providing to the audience. I generally can feel that I am proud of what we did. We actually mailed every single one ourselves to the initial buyers. I had a note. And it was an experience that everybody said not to do. But I don’t really like to listen to people. I just did what I knew was right. I wanted to experience that, because I didn’t want it to be easy. I wanted to have a hands-on experience; how is it done? We were able to learn so much about shipping, about quality control, to make the next batch even better, and then to learn the best ways to fulfill products. Now we’ve launched two other products, these carry-on sized slim packing cubes that are color-coded and numbered, which is unique too. They are the only ones that have this organizational system, and they are the only ones fit for carry on travel, because obviously I talk about carry on travel. Then we’ve also launched in our RFID line, secret bra stash, and an international travel adapter. We are hoping to launch a few more products in the coming year. It’s a work in progress, and I’m very proud of it. And definitely having a blog that talks about the products has been a benefit, because now I’m able to organically, naturally add these products, where I was recommending other companies. Now I can recommend my own, and because I believe in their quality I can also do it with integrity as well. Pat Flynn: That’s amazing. You should be super proud of what you’ve created. You’ve come full circle. You started out by wanting to help others, and you started promoting products on Amazon that were not yours. Then you started making money through advertising. Now here you are actually creating your own products that now live on Amazon, and you are selling them to your audience, and you are going live and you are selling them. I also know that they are ranking fairly well in Amazon right now too. Now you are getting new people discovering you and your brand through the products that you’ve created now, which is just totally amazing. I’m just proud of you, and really excited to see what comes next, Alex. This is really, really a very encouraging podcast episode, because you said a lot of things that I think a lot of people can relate to. I hope you all realize that if you just have the drive to figure things out, you will succeed just like Alex. You had mentioned earlier that, or a number of things—that you were scared before going live on Facebook, figuring out how to sell things. That you are not an expert, that you don’t know the tech stuff very well, yet you were able to figure this out. I want you to finish off the episode by sharing with everybody who is listening right now—it’s at the start of the new year. We have plans, and there are doubts. How do you encourage those people to fight through those doubts, and take action so they can find success as well in their own way? Alex Jimenez: Really it’s probably something that my husband is always telling me, is that it’s a lot of those doubts, they are all just within ourselves, they are all really—we put a lot of pressure on ourselves in a negative or positive way. And it’s coming from us. We also have the power to change that. We have the power to change that inner dialog. Sometimes you just have to try. What’s the worst thing that can happen? I went on Facebook Live. If it was horrible and people hated it, I could delete it. Put your face out there online, it is a very scary thing to do. I’ve been very very fortunate that over the years I’ve had really, really negative comments. I’m still grateful for that. Putting yourself out there is also about being authentic and being yourself. I was scared to put myself out there, but I found that in just being me, whether it’s clumsy or silly or unorganized or just showing how much . . . Even being vulnerable and putting your heart on your sleeve. That might sound cheesy but it has worked. You got to try it. That’s all you can do is try, otherwise you’ll never know. Pat Flynn: Alex, thank you so much. What can we expect from Travel Fashion Girl and Compass Rose in the future? Alex Jimenez: Bigger and better than ever before. My goal is always to double. I want to double in growth, double in traffic every year. Compass Rose, I’d love to continue growing it. I do plan to launch another two to three products next year. Really, it’s just flowing. I’m in this for the long haul. I believe in the brand, and I believe in the audience. I believe in how we can help the community. I’m gonna continue listening to the community and what they want, and evolve based on what they wanna hear from me and what they wanna see from me. Pat Flynn: I love it. Well, keep up the great work, Alex. Thank you so much for being here and sharing with us your wisdom, your experience, and encouraging all of us to continue to push forward. The URLs for where people can go to find you? Alex Jimenez: TravelFashionGirl.com and the items are on CompassRoseTravelAccessories.com. Pat Flynn: Awesome. Thank you so much Alex, we appreciate you. Alex Jimenez: Thank you Pat. This has been incredible. Thank you for the opportunity to be here. You rock. Pat Flynn: All right. I hope you enjoyed that episode with Alex. Again, you can find her at TravelFashionGirl.com, and of course all the links and the resources mentioned in this episode you could find at the show notes page on the SPI blog. You can find that at SmartPassiveIncome.com/session353. Alex, I know you are listening to this. I’m so thankful that you trusted me to help coach you this past year through the Accelerator Program. For those of you who don’t know what the SPI Accelerator Program is, many people actually haven’t heard of it. I launched it last year around this time, actually. I started an application process in 2018 for the higher level, more advanced segments of my email list. That’s a much smaller segment of my email list. I needed a way to serve that audience, because most of the content that I was coming out with on the podcast, the blog, were more for the beginner and intermediate people in my audience. I knew there was a segment of audience who was more advanced who could use some more precise advice, and some different kinds of coaching versus what an entrepreneur who is just starting out could use. I recruited about twelve people, and we have been meeting every other week on a call, and we even met in person in San Diego not too long ago to have a two and a half day retreat together to really break down our businesses, and build it back up even stronger. I just cannot talk about Alex enough and how amazing she is. She contributed so much to this group, and so she is a person to follow for sure, because of her knowledge and her expertise in this space, as you could tell. Again, one more time, TravelFashionGirl.com, and she’s got some products and some articles, and some very helpful articles there for you if you are going on any travels upcoming as well. Thank you so much. I appreciate you for listening in and I look forward to serving you in the next upcoming episodes here. We have a lot of great stuff coming your way and a big announcement coming next week. Make sure you subscribe if you haven’t already. A big announcement. A huge change. Probably, if you were to actually compare it to other things that have happened in my business, it might actually be the biggest decision I will have ever made ever in my business since I started it ten years ago. Make sure you stick around and listen for that one. It’s a big one. I have a special guest to share that announcement with you. Until then, I appreciate you. Here we go 2019, let’s rock it out. Cheers, and I’ll see you in the next episode. Bye. Team Flynn for the win. Special thanks to Alex Jimenez for joining me this week. Until next time! Data, ads, SEO, affiliate marketing, and organic connection with your audience can drive massive traffic and revenue for your online business. Today's guest breaks down the tools and tactics she used to grow a niche site with almost 1 million monthly visitors! How Alex turned her own frustrations with traveling into a profitable niche business. The game-changing conversation Alex had with another female traveler. Why Alex's site saw a massive influx of traffic so early, and how she rode the wave. How packing lists drive Alex's traffic and serve her audience at the same time. How Alex uses data and SEO to tweak content and increase earnings. Tools and tactics Alex uses for tracking data, SEO, and more. How audience interaction influences Alex's business and informs her content. How Alex uses Facebook Live and repurposes her sessions into multiple content streams. How Alex validated her new physical product line and launched it on Amazon. How to fight through doubts to find your success, and more!